Long time lurker, then poster, then I found a new hobby, now I am back. Soooo I crashed the 2013 SLR01. In its last configuration with SRAM Red it was around 6 Kilos. Later I pulled the Red off and put it on my Cervelo S5. The SLR01 Frame sat for about two years and was reborn with the Ultegra Group from the S5 about 6 months ago. Within a short time of its rebirth I accidently crashed it into the ditch. 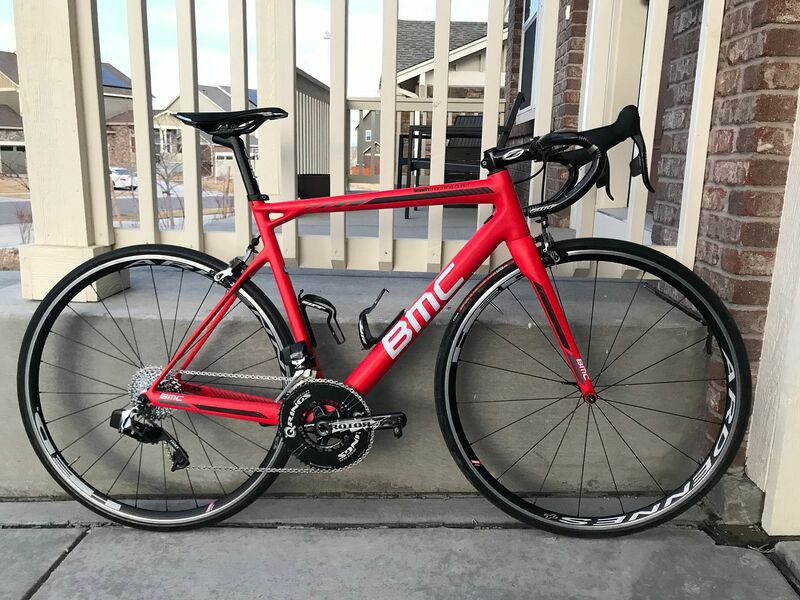 I contacted BMC and they are crash replacing it with a 2017 SLR01 Frame-set which should be here in a week or so. I plan on using some similar parts but more than likely it will have its own flair. Right now I have allot things going through my mind. 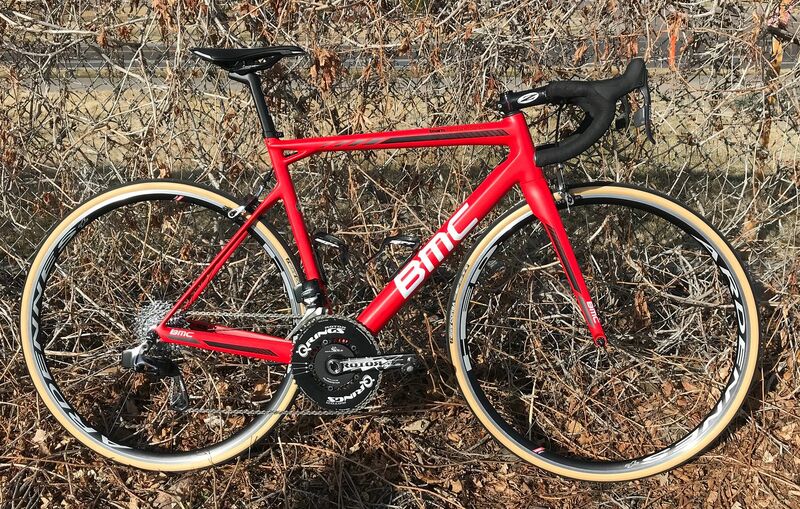 Do I ditch the Ultegra Group and go with SRAM E-tap or Mechanical, source some sick wheels, or pick up another power meter. I am not made of money so I do have a budget. Over the next few weeks those decisions will be made. Below is the place holder for the build thread for the shenanigans that will follow. It will be interesting to see how it all turns out in comparison to the 2013 model. One note though, while I am a weight weenie, the roads are super rough in Aurora, CO. That being said comfort is a goal too. Last edited by CAMSHAFT on Sun Aug 05, 2018 4:11 pm, edited 36 times in total. 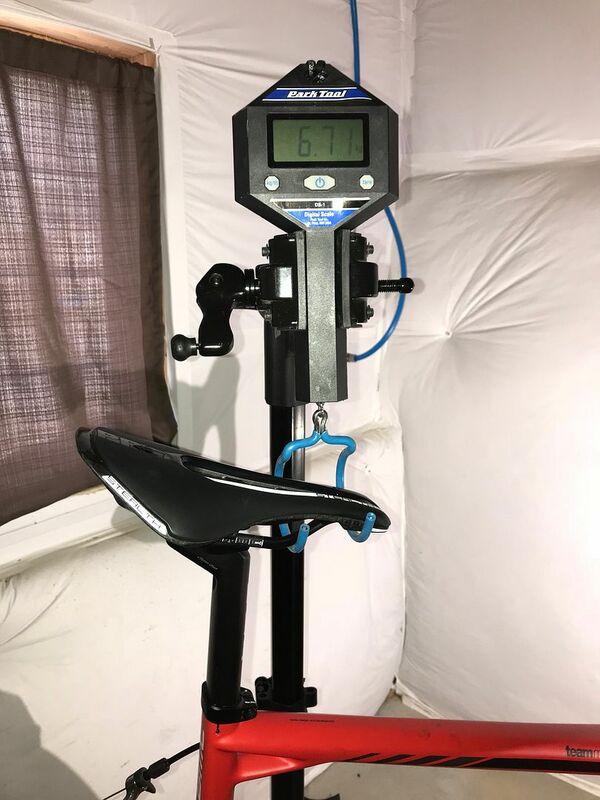 The first weight is a good starting point. Look for another pound to drop. So far she feels great! For some reason this one is begging for some 80s, looks good! I have a set of Jet 6/9. When I get a chance I’ll set them up. Ok, that's nice, too. I love the matt red colour. Love a good Teammachine. That color is great too. Not enough matte red bikes out there. 14lbs, 9 oz is 6.6kg though, no? SRM Powermeter installed and ready. They ran a sale on spiders that I couldnt pass up. what size Q ring is that? I couldn't get them to work with the braze on height of my SLR01..
52T. It works fine for me. Good choice on the PowerMeter. Swapped out the Open Corsa Evo CX for Corsa. I also went with Vittoria Latex. 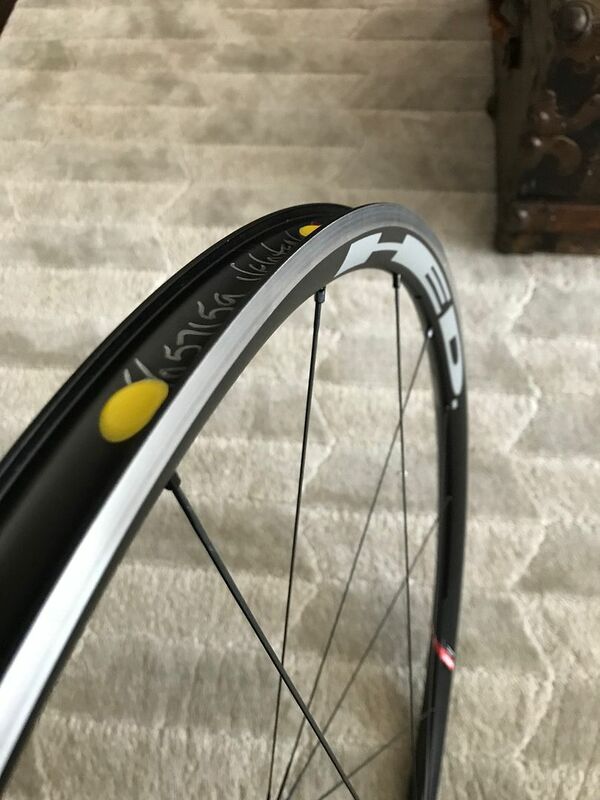 I have some Veloplugs (Red and Yellow) on order but, I dont think they will fit. If they dont fit I will try some Velox tape. An out and about pic with the iPhone. 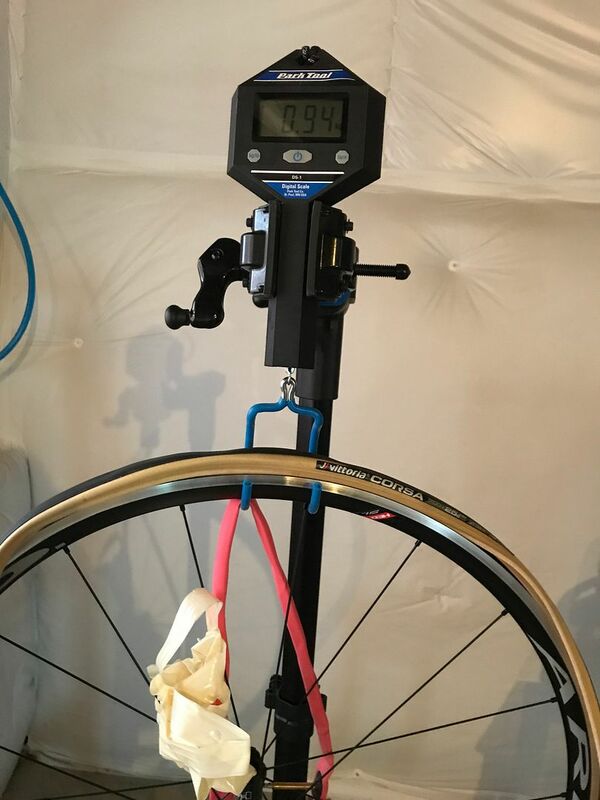 Completed a Veloplugs install. It wasnt that easy. I bought yellow and red plugs, with neither fitting. 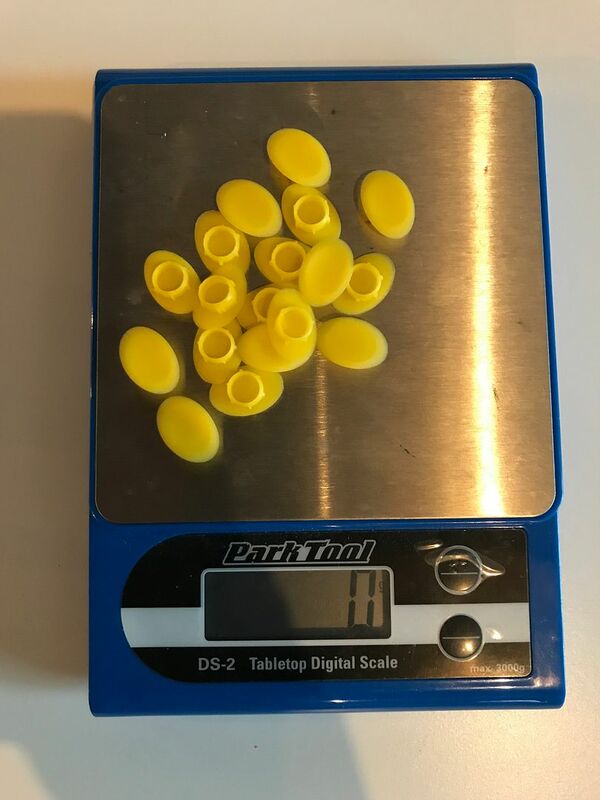 The best way was to make the yellow plugs smaller. I had to trim all 36 plugs with an exacto knife. 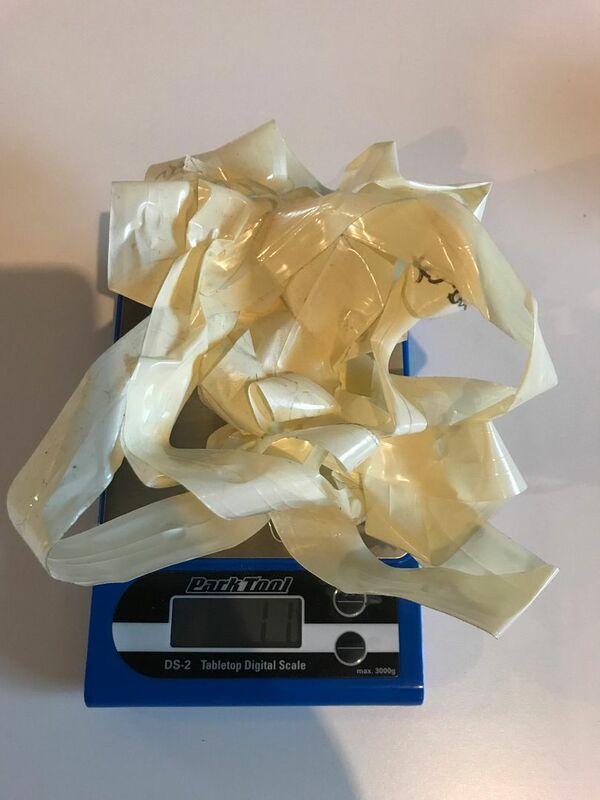 All in all the tape I had on there was light. After completing the install the big scale didnt even display the difference. With the small scale I estimate a 20g difference but, hey im weight weenies and every gram counts. These wheels are amazing already with Corsa over Latex. 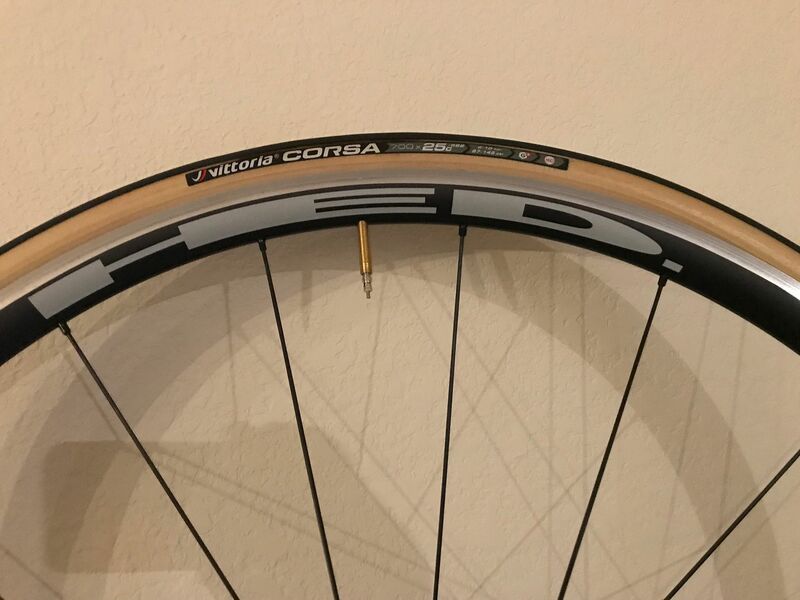 Tape from the front wheel.